‘Tis the season for some of our favorite holiday foods — and cranberries definitely make the list. Especially for Wisconsinites since we lead the nation in cranberry production with more than 60 percent of country’s crop being harvested right here in our state. Cranberries are powerful berries that offer a variety of health benefits and may be good for your smile. It’s no wonder why this refreshing and tart berry will make an appearance in several dishes this time of year, including sauces, baked goods and many other holiday favorites. 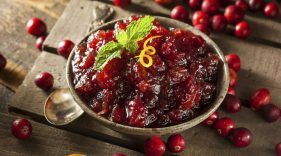 Serving fresh cranberries or a homemade cranberry sauce made with a sugar substitute is a good way to get a serving of the berries onto your table. 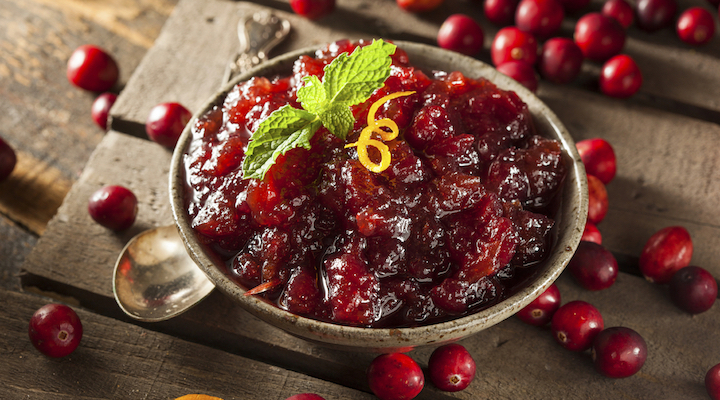 Whether you make cranberry sauce yourself or buy the canned version, avoid sauces loaded with sugar. Now that your taste buds are watering, you might be wondering where you can buy products made with real Wisconsin cranberries. Combine all ingredients in a pot. Bring the mixture to a boil over medium-high heat. Stir often. When the cranberries “pop,” the sauce will thicken. Cook until it reaches your preferred consistency, about 5 to 10 minutes.